Today’s Businesses are depending on learning from the past. When one having real time data, then he would want to analyze it and should use them to make superior decisions. The main objective of Qlikview is to enable self driven decisions. Using this, one can combine relevant data coming from different sources and the association patterns help in analyzing data. One can perform the direct search and indirect search on the data. These data can be captured from mobile devices and can be analyzed. For the IT professionals it will be much easier to write their reports and pull queries. They can bring a large picture of the data using Qlikview application. But for the Business intelligence (BI) professionals and developers, it allows easy creation and management of data transformations, definitions and the business logic. Using this anyone can easily connect to the popular data sources like Big Data and Salesforce.com. There are many learning centers or institutes which offer classroom training, virtual classrooms and Qlikview online training. 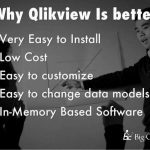 The criteria for learning Qlikview include understanding the concepts of SQL (Structured Query Language) and the basic concepts of data warehousing. 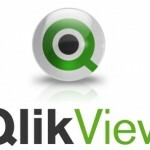 The Qlikview course material envelops deployment of Qlikview to server, publisher and also stand alone systems. 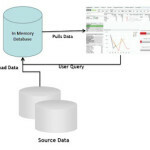 The Qlikview online training covers the topic of connecting to OLEDB and ODBC data sources, the concept of creating subroutines etc. Qlikview online training will help you learn from your preferred location. Learning BI and using BI products is very vital to today’s industry in this competitive world. 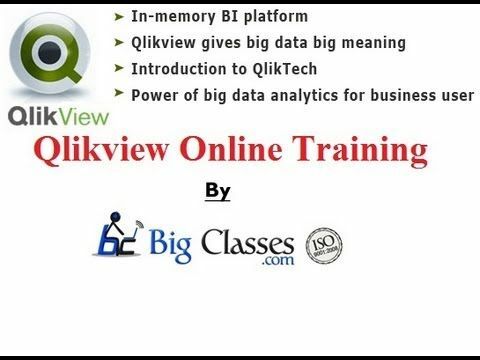 Qlikview makes it possible with its extensive availability of trainers and training institutes across the globe.